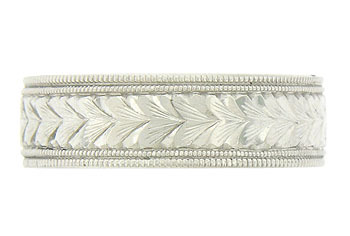 A double row of intricate milgrain frames a wide ribbon of engraved leaves on the surface of this antique style wedding band. 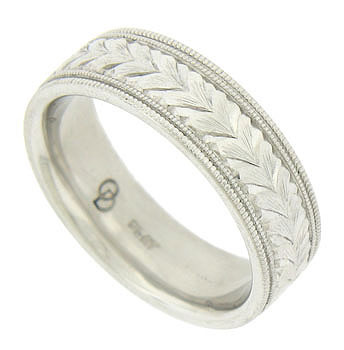 The sparkling wedding ring is fashioned of platinum and measures 5.72 mm in width. Size 5. We cannot re-size.